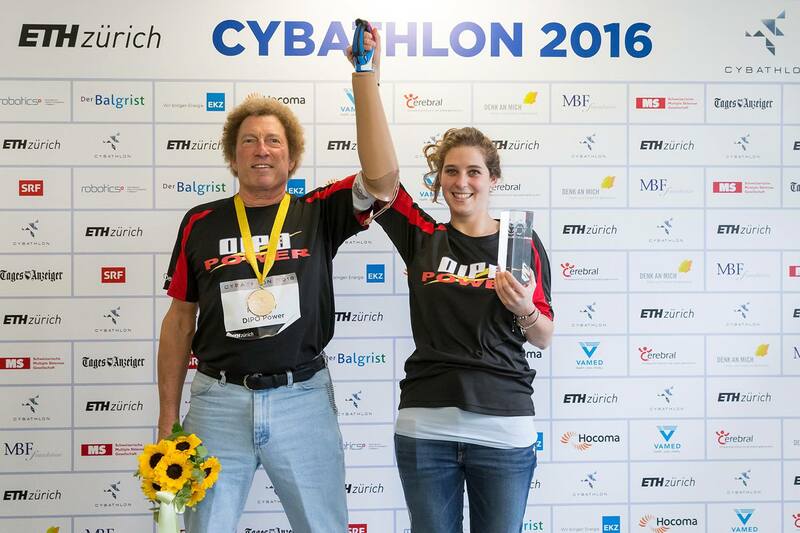 Winner of the Cybathlon in Zurich for body powered prosthetics! Bob Radocy finished screwing a light bulb into a lamp perched on the desk … and the crowd went wild. 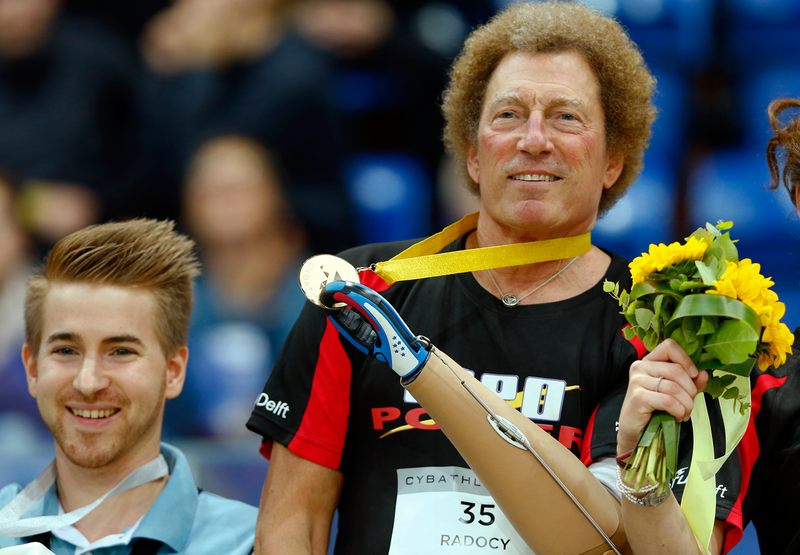 Radocy, who lost his arm in a car accident several decades ago, had just used a prosthetic device to complete a task at the inaugural Cybathlon, held last weekend at the SWISS Arena in Kloten, Switzerland. 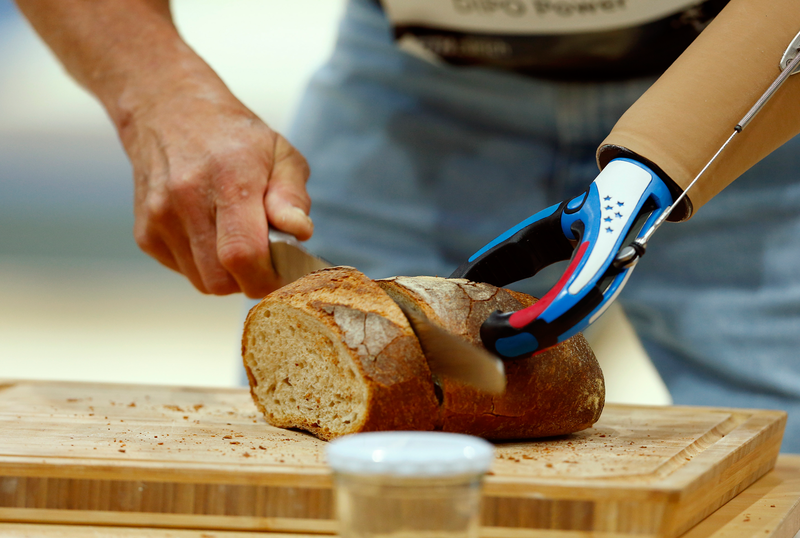 The event involved more than 60 teams formed by research institutions and companies competing in six assistive technology categories: brain-computer interface (a device that connects the brain to a computer), functional electrical stimulation bike (a bicycle powered by electrical stimulation of the muscles), arm prosthesis, leg prosthesis, exoskeleton (a powered robotic suit) and wheelchair. Disabled individuals, or “pilots,” from the different teams faced off on courses designed to test how the assistive devices perform on everyday tasks. 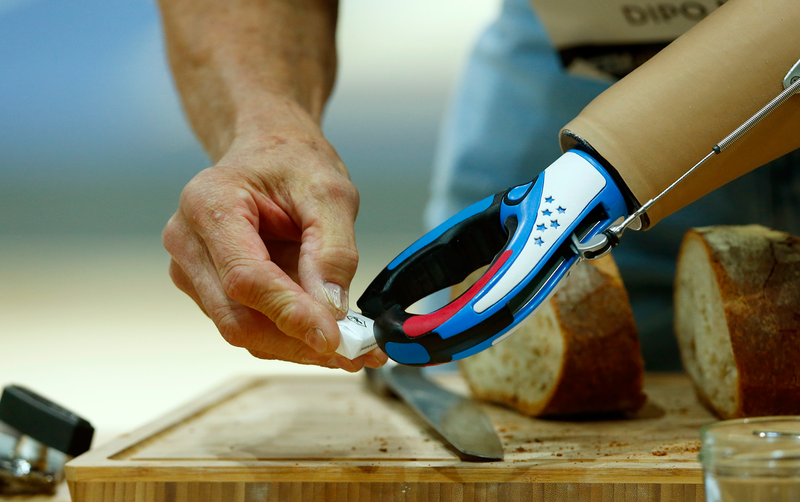 In the prosthetic arm event, Radocy and his competitors raced against the clock and each other to complete a series of six tasks ranging from picking up differently shaped objects on a table, to preparing breakfast (including cutting a loaf of bread and using a can opener), to hanging clothes using hangers and clothespins. 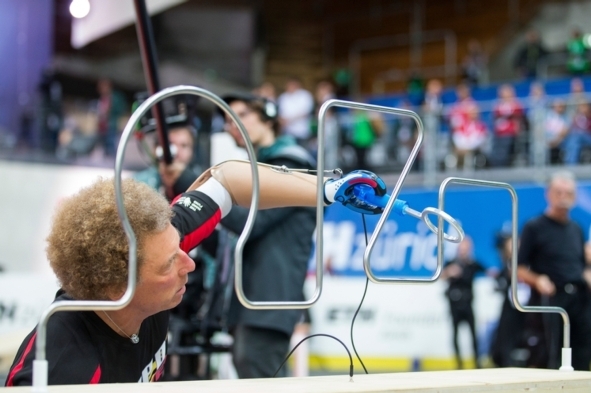 Radocy says the most challenging task for him involved grasping a handle attached to a metal ring and guiding the ring along an electrified pipe bent to resemble a roller coaster. If the ring touched the pipe, the handle lit up—much like in the board game Operation. 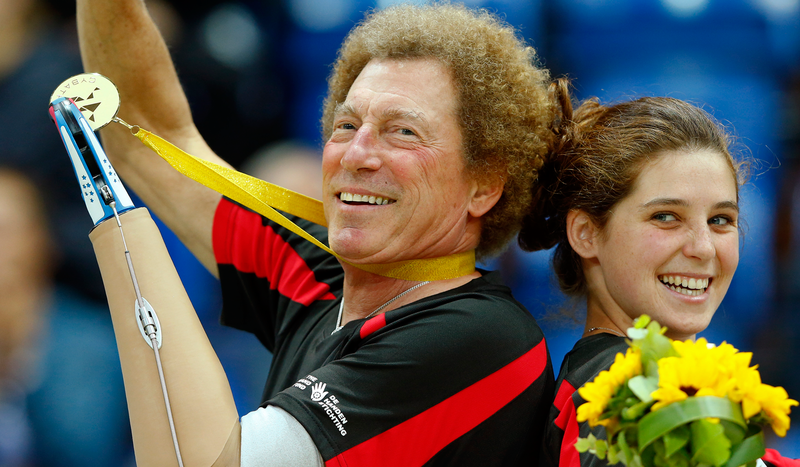 “There’s never been a competition like this in history,” Radocy says. “This is the first time these technologies have ever been put on display, one against the other, in the same kind of rigorously defined course.” Judges followed the participants throughout the events and assigned points based on how well they performed. Radocy is not new to the world of assistive technology. 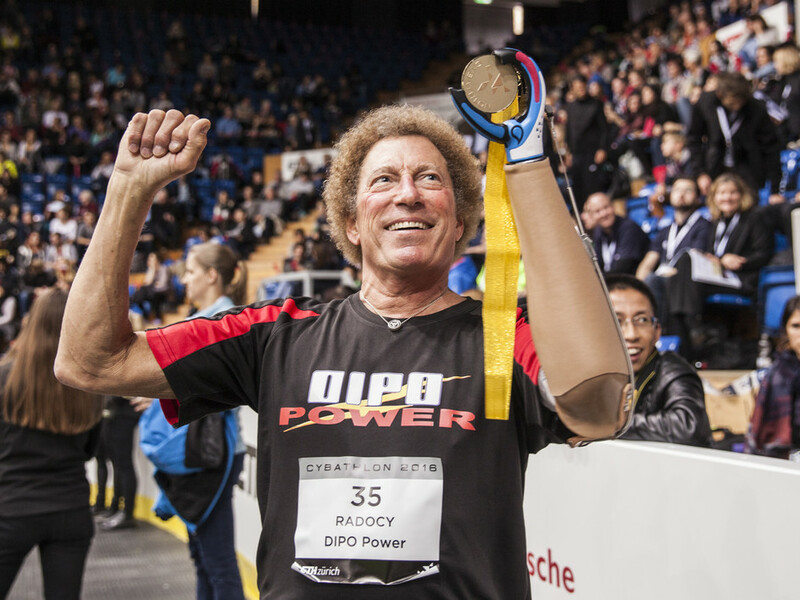 In 1979, a few years after his injury, he founded TRS Prosthetics, a Boulder, Colorado-based company that specializes in high performance, body-powered devices. Radocy teamed up with graduate students at Delft University of Technology in the Netherlands to form the DIPO Power Team and develop a device called the “GRIP 5 Prehensor,” which became commercially available in January. 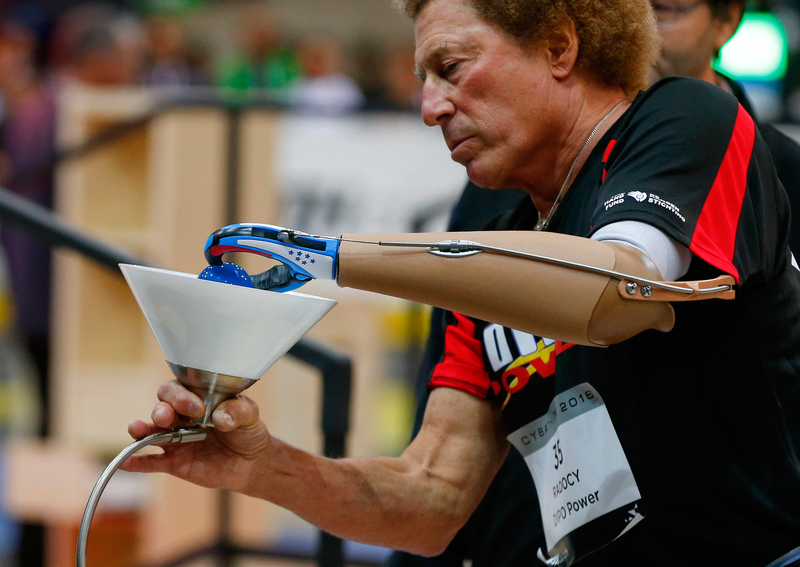 Unlike many of the lower-arm prostheses at the Cybathlon, the Prehensor does not resemble a complete human hand, nor does it rely on an external power source. Instead, it is designed to emulate a human index and middle finger in opposition to a thumb. 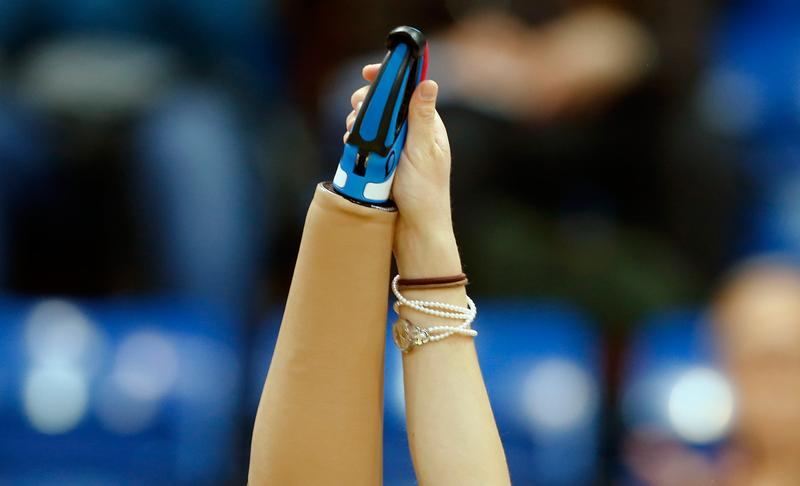 The device is body-powered, and works similarly to a hand brake on a bicycle; movements of the arm and torso produce power that is transferred along an artificial external tendon to the device. The gripping strength of the Prehensor is directly proportional to the power of the movement that produced it, which gives the user precise control. 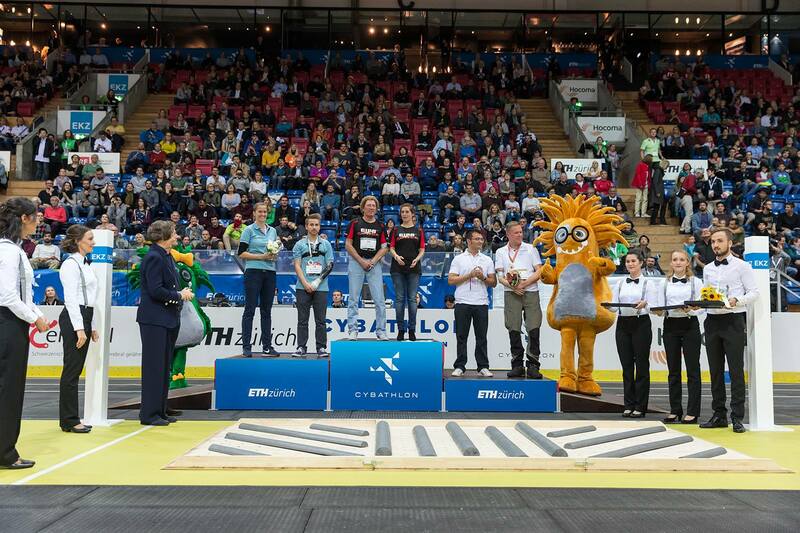 Assisted by the device, Radocy breezed through the course in the preliminaries and the finals, earning two perfect scores to win gold for his team. 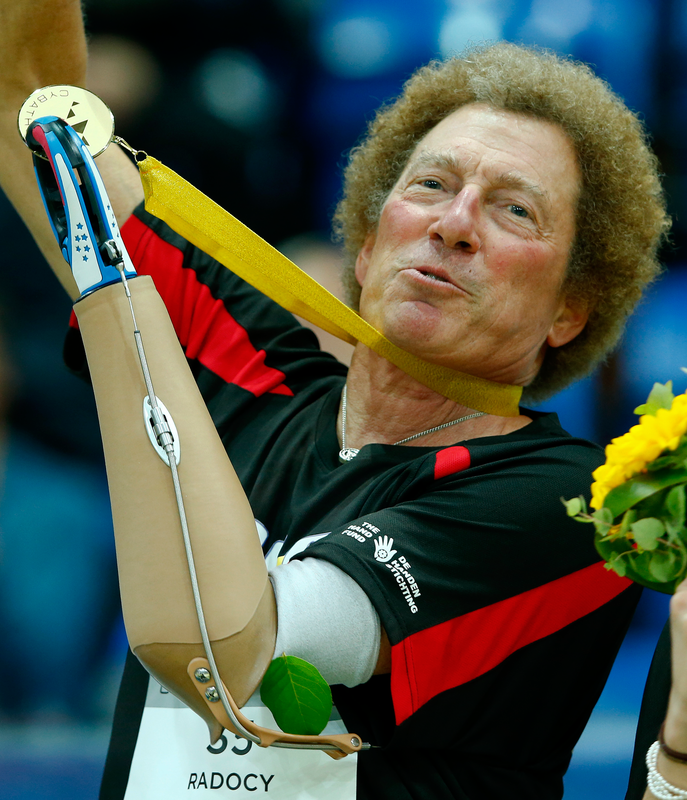 As for Riener, the biggest goal of the Cybathlon was bringing together people from different countries and backgrounds, with and without disabilities. 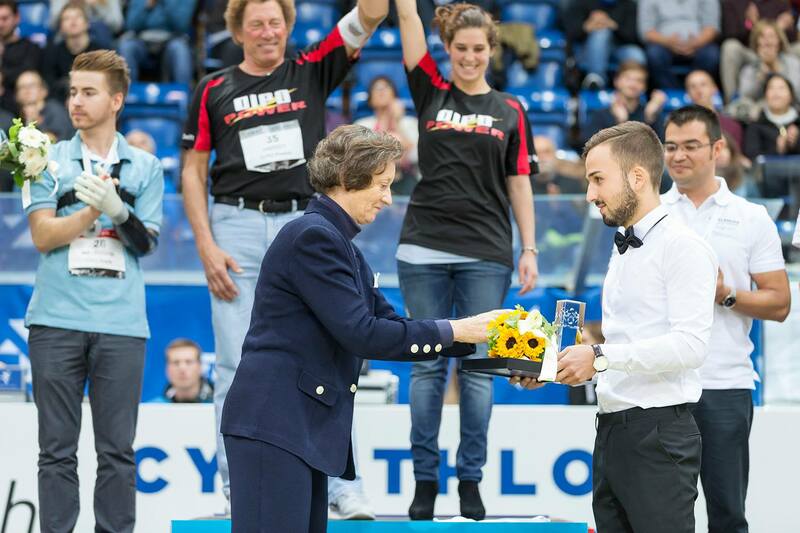 As Radocy stood atop the podium with team leader Monica Moreo, his Prehensor and her hand clasped and raised before the cheering crowd, it is clear Riener was successful.